Ukrainian Canadians have a particular interest in the stories that will be presented in the Canadian Museum for Human Rights (CMHR). 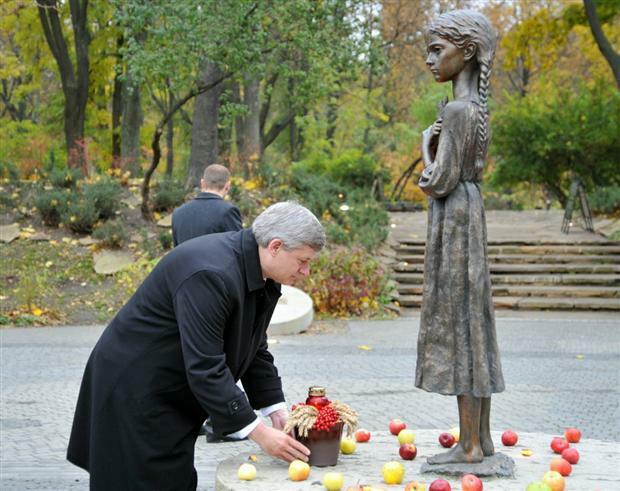 Soviet Ukraine was subjected to one of the twentieth century’s greatest atrocities, the genocidal Great Famine of 1932-33, the Holodomor. Furthermore, during the Nazi occupation Ukrainian lands suffered greater destruction and more casualties than any other country in Europe. In Canada, thousands of Ukrainians were victims of state-sanctioned indignities, in particular during Canada’s first national internment operations of 1914-1920, when they were branded as “enemy aliens,” lost what little wealth they had, were forced to do heavy labour for the profit of their jailers, disenfranchised and subjected to other discriminatory measures, not because of anything they had done but only because of who they were, where they had come from. These stories are not yet widely known or understood, in part because Ukraine was not free until 1991 and because, here in Canada, a focus on the discrimination experienced by “visible minorities” and indigenous peoples has often obfuscated the fact that Ukrainians and other eastern European communities were also targets of racist, xenophobic and prejudicial sentiments, in the media, government and throughout the public arena. While the Ukrainian Canadian community was willing to support public funding for a national museum dedicated to Human Rights, we are now deeply concerned about how the contents of that museum are being established, particularly since the various committees and groups established to advise on what this museum will exhibit were not representative of the Canadian population, nor have they apparently given serious attention to the many submissions made by the Ukrainian Canadian Congress, the Ukrainian Canadian Civil Liberties Association and other groups who insisted that any such national museum must be focused on Canadian issues and be inclusive, without elevating the suffering or wrongs experienced by any one community over all others. A review of the “Content Advisory Committee Final Report to the Canadian Museum for Human Rights,” dated 25 May 2010, makes only one minor, passing reference to Canada’s first national internment operations and only one reference to the “Holodomar” (sic). Further articles and information about the Museum evidence that the Holodomor will not have a permanent and prominent position in the Museum. 4. highlights the crimes of the communist dictatorship of Joseph Stalin and the Soviet regime. The Ukrainian Canadian Congress has always maintained that any publicly funded institution or museum should be governed by the principles and objectives of the Museums Act and should be inclusive and reflective of the experience and concerns of all Canadians. 1. The Ukrainian Famine/Genocide (Holodomor) of 1932-1933 would be featured very clearly, distinctly and permanently in the CMHR. 3. There would be a recognition that the Ukrainian people were victims of the Nazis during WWII and that this would be portrayed as an historical fact in any discussion about the Holocaust. 4. Mr Asper and the Asper Foundation would continue to work with the UCC in telling its history of human rights abuses in Canada and Ukraine and to work with our representatives towards this objective. On the basis of these representations, that the UCC publicly expressed its support for the CMHR project. Since 2003, the UCC has been concerned about the governance of the CMHR. We have expressed concerns that its various structures lacked objectivity and did not represent Canadian society, including the initial Advisory Board, the Board of Trustees, Content Advisory Council, employees, advisors and consultants. In this regard we had proposed a number of qualified persons to serve in these various roles without any response from either the CMHR or the Government of Canada. The UCC has consistently maintained that the governing body of the CMHR must be representative of all Canadians. Unfortunately the composition of the Boards and Advisory bodies of the CMHR has been dominated by friends and supporters of the Asper Foundation. This unfortunately brings into question the objectivity of the Content Advisory report, the Museum layout and content, and the selection process for staff and consultants to the CMHR. The Content Advisory Committee of the CMHR released its final report on 22 September 2010. In the report, there is no real mention of the experience of Ukrainians in Canada or in Ukraine. The current vision of the CMHR, as expressed by the Content Advisory Committee, is to include only two permanent galleries in the museum – one devoted to aboriginal issues and another to the Holocaust. Any other experiences and issues will be addressed thematically in the remaining galleries. This is unacceptable because this vision of the CMHR is neither consistent with the undertaking given to the UCC National by the Asper Foundation, nor is it reflective of the experience of all Canadians and certainly not of those of one of Canada’s founding peoples and largest ethnic constituencies, the Ukrainian Canadian community. The CMHR represents a unique opportunity for Canada to be recognized as a leader in reflecting and further advancing contemporary research on genocide and human rights and in telling the story of all genocides without any attempt to represent the suffering of one nation, tribe or community as having been of more relevance or importance than any other’s. All attempts to so argue fundamentally do an injustice to the memory of the many millions of victims of genocide throughout the ages, whether they suffered in Europe, or somewhere else. Furthermore the Government of Canada needs to ensure that the actions which it has recognized as genocide or as contraventions of human rights be appropriately addressed in the CMHR. This includes the experience of Ukrainians and others during Canada’s first national internment operations as recognized in MP Inky Mark’s Private Member’s Bill C-331, Internment of Persons of Ukrainian Origin Recognition Act, which received Royal Assent on 25 November 2005, and Canada’s recognition of the Holodomor as genocide by the Parliament and Government of Canada through the adoption and Royal Assent given to MP James Bezan’s Bill C-459, An Act to Establish a Ukrainian Famine and Genocide (Holodomor) Memorial Day. With this new museum Canada has an opportunity, a rare and singular one, to tell these stories that have not often been told, or fully understood by others, and that surely is the role of a truly national museum, if that is what this one is to become. The Ukrainian Canadian Congress is the voice of Canada’s Ukrainian community. 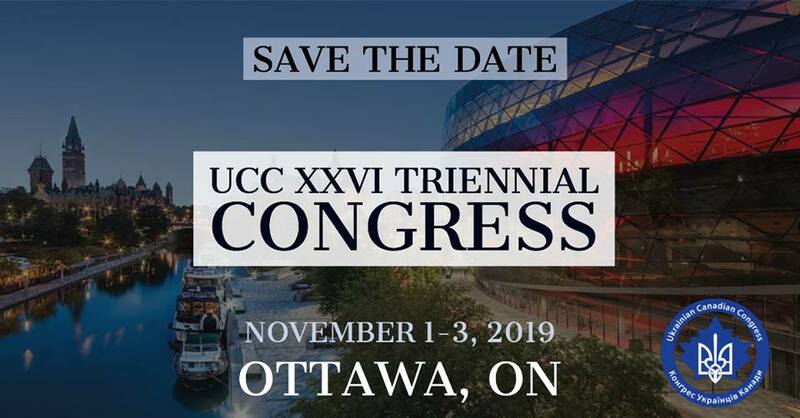 The Congress brings together under one umbrella all the national, provincial and local Ukrainian Canadian organizations. Together with its member organizations, the UCC has been leading, coordinating and representing the interests of one of Canada’s largest ethnic communities (1.2 million) for 70 years and instrumental in shaping Canada’s social, economic and political landscape.